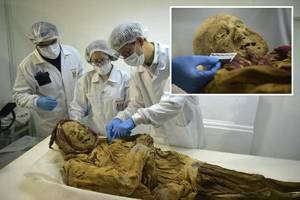 Scientists are studying a mummified body dating back to the 16th century - and believe it could help cure arthritis. The mummy has been well-preserved and his bones contain traces of the rheumatoid condition. It was discovered in a convent in the town of Guano, Ecuador, and is being studied by French pathologist Dr. Philippe Charlier. Dr. Charlier explained: "The mummy of Guano may be the link missing that will allow us to understand how this disease, which was originally American, then became a global disease by hybridization, by the confrontation between two worlds." 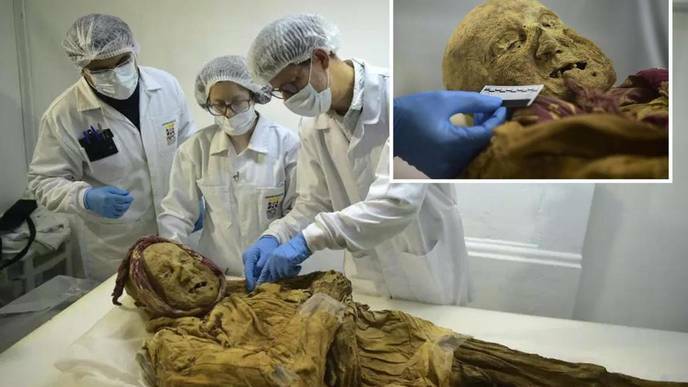 The mummy is believed to be a friar and guardian of the convent from 1560 to 1565, according to the San Francisco University of Quito, who participates in the research. He was thought to be around 85 to 90 years old when he died. Dr. Charlier, who has also studied the remains of Hitler, Descartes, and Robespierre, said the dead "have a lot to tell us". Locals discovered the mummy in a jar between the walls of the convent Asunsion de Guano next to a mummified rat. A massive earthquake in August 1949 caused the church's walls to fall, revealing the friar's final resting place. Because the body was kept in a cold, dry environment it was protected from flies and larvae so the tissues that bear the marks of rheumatoid arthritis have been well-preserved. Dr. Charlier said: "This is an extremely important mummy for the history of diseases." Scientists have determined that the most likely cause of the friar's death is a chin fistula that turned into an abscess or sepsis.